The mentor is primarily a friend – not a social worker, a caregiver or a “fix-it” person. 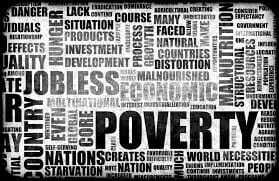 ·The impact of poverty in our communities on families, schools, youth, parents, and mentors. · The role of mentors in responding to poverty issues with our mentees and in our communities. ·The impact mentoring can have in breaking the cycle of poverty. Community members and mentors came together to discuss how poverty plays into their roles as mentors. These are the highlights of the group brainstorm.